Informational television shows work best when the hosts are familiar with the topics and can relate to their guests. 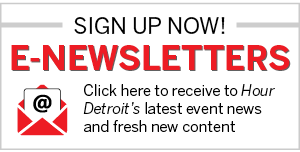 That combination has been a winning formula for a trio of Michigan-based public TV programs that have gained national viewers and interest. The same can be said of Under the Radar: Michigan and A Craftsman’s Legacy, whose origins were framed by the mother of invention (or reinvention). Reinvention, as these shows highlight and reflect, is best done through innovation and hard work — and not worrying about getting dirty hands. No wonder they’re made in Michigan. Back when Under the Radar was an idea in search of air time, Daldin was asked how long he could maintain a single-state focus. He’d be lucky to last a season, one skeptic had said. Equal parts travel show and personality profile, an episode typically visits two locations with a couple of highlights at each stop. The common bond is a shared love for a place called home. “It’s really about cities and towns and letting the people say why they love it so much,” Daldin says. Entering its sixth season, Under the Radar already topped 75 episodes. There’s a companion book — The First 50 — and talk of an Under the Radar: America. Edelman says the audience is what makes the show a success. “It still comes down to eyeballs, ears, and the ability to reach an audience,” he says. The entrepreneurs of Start Up didn’t just create a product or service. Each redefined themselves just as producers Bredow and Jennifer Feterovich had. Lost employment inspires a bit of soul-searching. “It forced a lot of people to look within and maybe think about what they always wanted to do,” Bredow says. Now in its third season, the producers have found plenty of kindred spirits with practical approaches to launching a business. No “trust fund” babies or “get-rich-quick” schemes, just hardworking people. “There’s no ‘next big thing’ because life is not always about the next big thing. Viewers can relate to the subject and say, ‘I want to own a coffee shop,’ ” says Feterovich. Or patent an invention, like a rib deboner courtesy of former Detroit Lion Al “Bubba” Baker; or college students who’d designed a teddy bear for children fighting diabetes. Feterovich, who’d emigrated from Russia to the U.S., says the show reflects the art of the possible that is America. “This is the only country where you can come here with nothing and become anything you want,” she says. ERIC GORGES DISCOVERS THE INTRICACIES OF CLOCK MAKING. 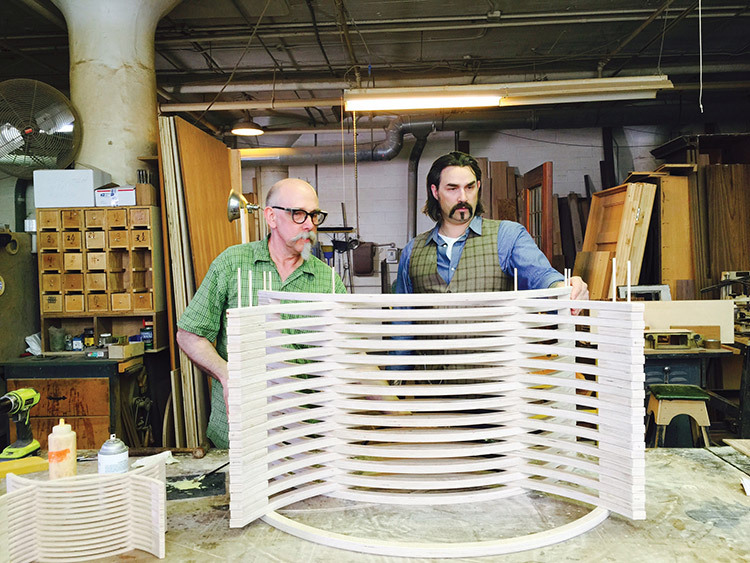 Creator and host Eric Gorges had modest — perhaps cautious — expectations for A Craftsman’s Legacy. Thus, the “legacy” that Gorges embodies. Childhood memories include never hiring repairmen for jobs that his grandfather or father could do themselves. The genetic makeup served Gorges well with his own company, Voodoo Choppers. His works-of-art motorcycles earned national attention. But the show steps outside his comfort zone. “We show respect for the history of the craft,” Gorges says. These are the people who build guitars, make chairs, and hand-tool clock workings: young or old; men or women; professionals or amateurs. 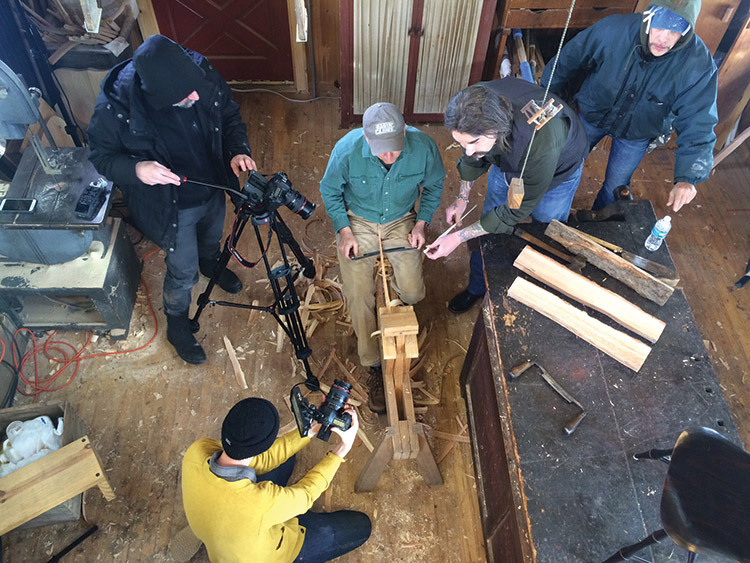 Now airing its second season, A Craftsman’s Legacy follows proven formulas like This Old House, but also embraces the “maker’s movement” and do-it-yourself spirit, producer Selena Lauterer says. Viewers connect with hosts who are eager for new adventures. It’s what these made-in-Michigan shows have in common. For more information about these PBS shows, visit utrmichigan.com, startup-usa.com, and craftsmanslegacy.com.